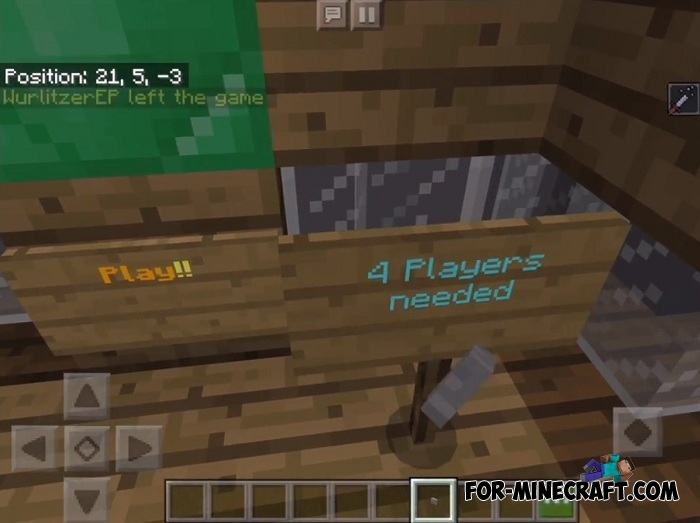 It should be noted in advance the map requires four players to start which means perfect compatibility with small MCPE servers where players have fun in mini-games or PvP. First, the map will determine which of you will be juggernaut, the other two players will become survivors. The task of each player is simple to defeat the opposite pair of players. 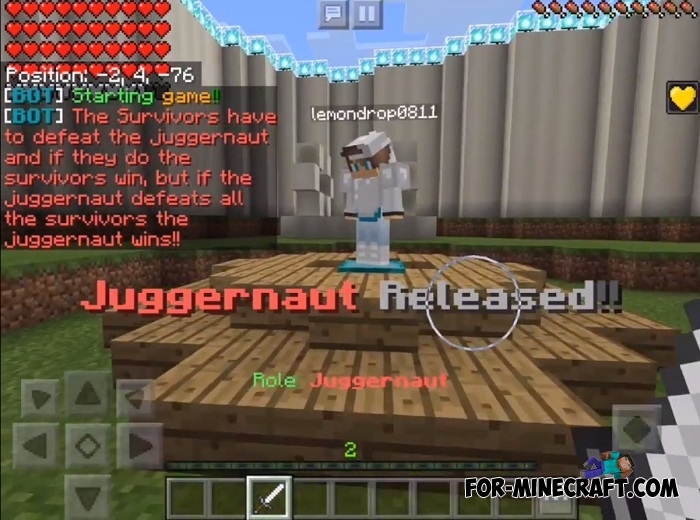 Each team has certain properties: survivors can regenerate health and run fast, but they have only iron armor. The juggernauts are stronger in armor characteristics as they wear diamond armor but they are slower. The winner will be the strongest team able to make quick decisions and tactfully attack the enemies. 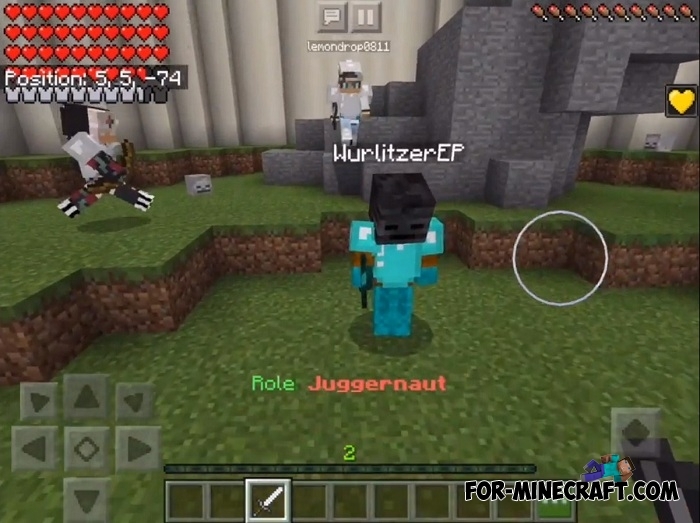 The Strongest Mob addon for MCPE 1.XWho is the most powerful mob in Minecraft Pocket Edition? Surely you thought about the Ender dragon because..
Qual ? o nome do servidor?